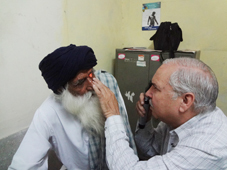 Under the Dr. Mathra Das Pahwa Vision Outreach Program, 28th eye camp was conducted by Bry-Air in Moga, Punjab. The camp was held on Sunday, 6th October 2013 in Mathra Das Civil Hospital, Moga in association with Bhartiya Jagriti Manch. 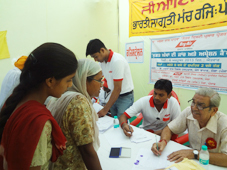 Facilities provided were free eye check-up, free spectacles, free medicine and free cataract operation to the patients.